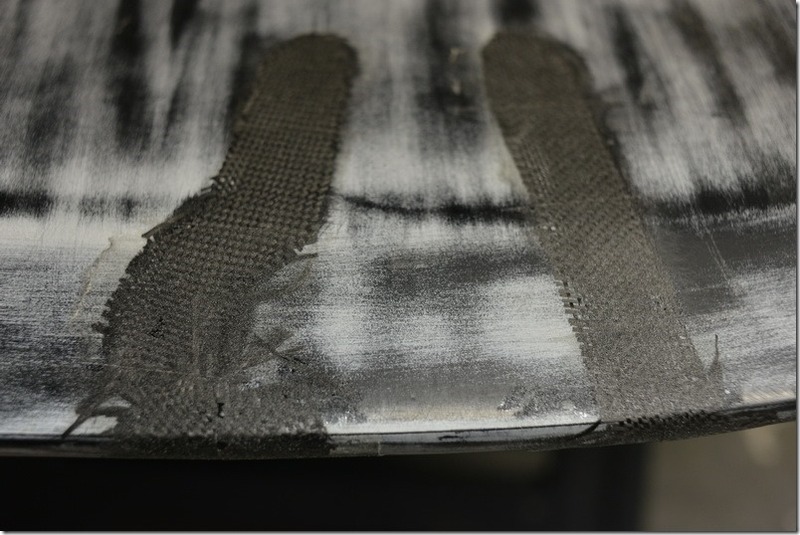 Board Repair Tip: Tape over Epoxy! 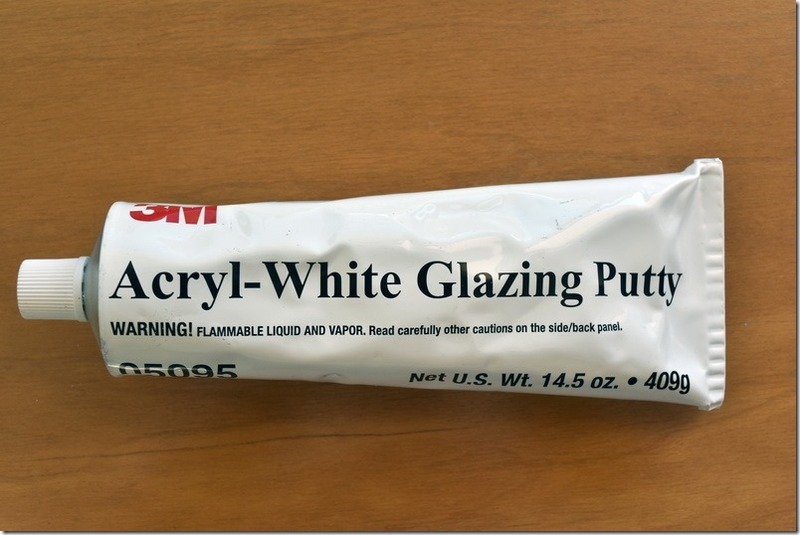 Don Wagner gave me a tip that worked really well for a recent board repair. He said it would be okay to share it, so here it is for you all to enjoy. Thanks, Don! I had a split on the nose of my Patrik formula board that needed repair after going over the front. 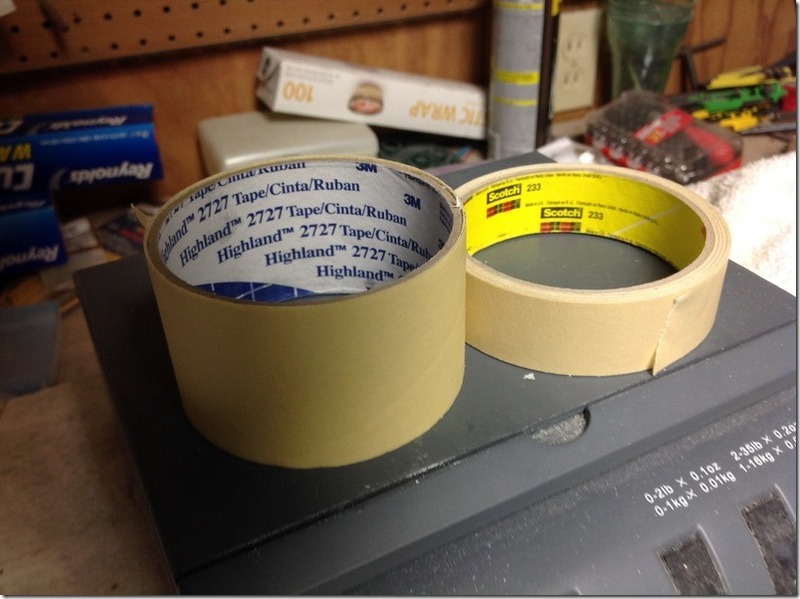 To me it seemed not intuitive putting masking tape over wet epoxy resin and thinking it wouldn’t stick, but it doesn’t with at least these two automotive purposed masking tapes Don recommended. I found the Highland 2727 in various widths at Terry’s Auto Supply, an auto body supply shop, and picked up the 2”. 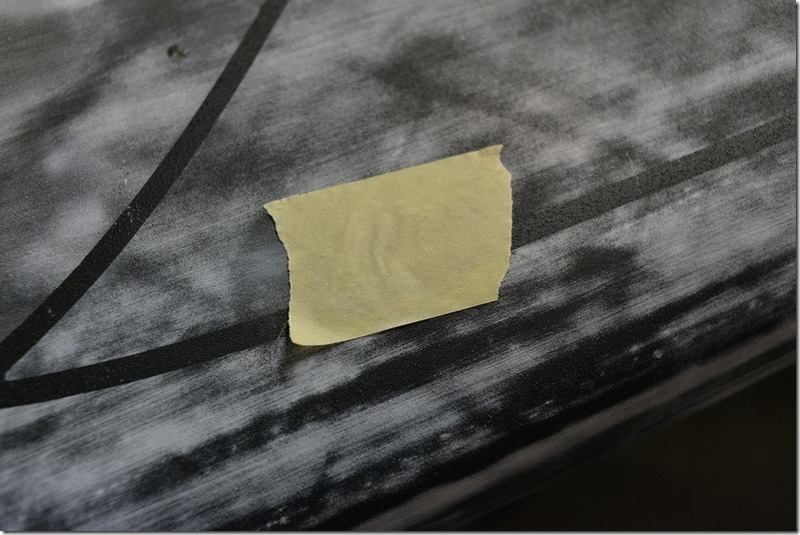 I prepped by sanding, then mixed up West System, dipped a piece of carbon cloth I had cut to shape, applied it to the board, added a little resin where needed and then stuck the tape over it and squeegeeing it smooth (see picture on top). The tape just peeled off the next morning leaving a perfect repair with no sanding required! 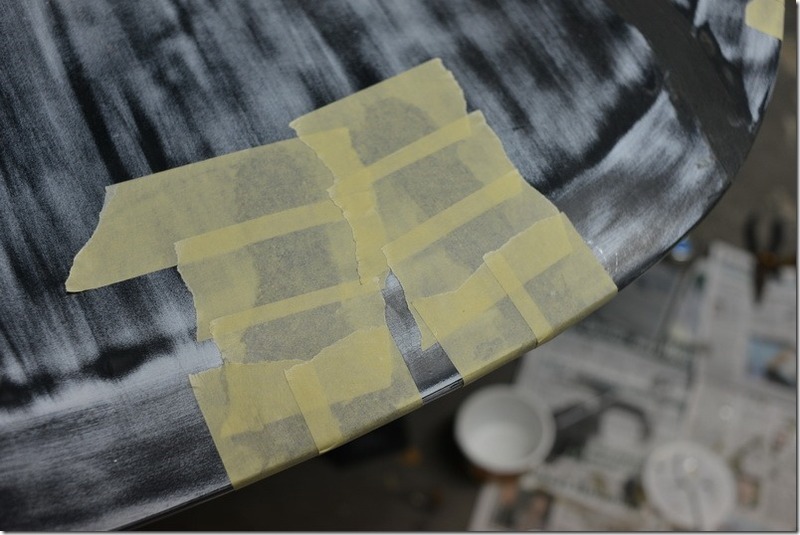 The tape peels off easily – no sanding! I had a ½” split on the deck from the first month of use of the board when the uphaul got between the mast and board. I fixed it too. 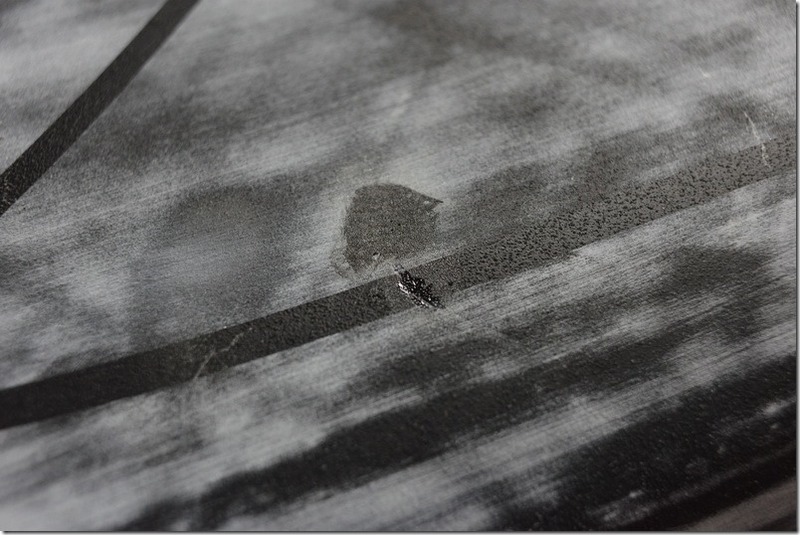 The tape leaves a bit of texture, as if non-skid was applied. It helped this time that the board is black and the repair blends in sufficiently to be cosmetically okay. If I were going to paint the repair I would apply white acrylic glazing putty to the repair and sand after it dries. The acrylic putty dries really fast and is very easy to sand leaving a smooth paintable surface. Hope this helps! Please add comments and share your tips below, or even email us a full tutorial and we’ll add it to our Tools, Tips and Tricks section. 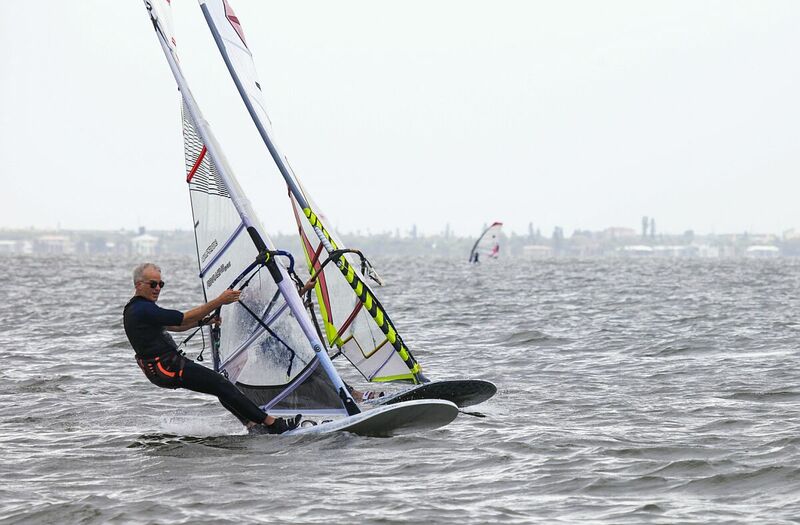 This repair tip brought to you by repair doctor Don Wagner (left), seen here nearing the top mark at the 2015 Calema Midwinters. And by Ron Kern (right), focused and relaxed in this picture knowing that the repair job on his board is going to hold up under pressure! Next story Kona on the west coast this summer! 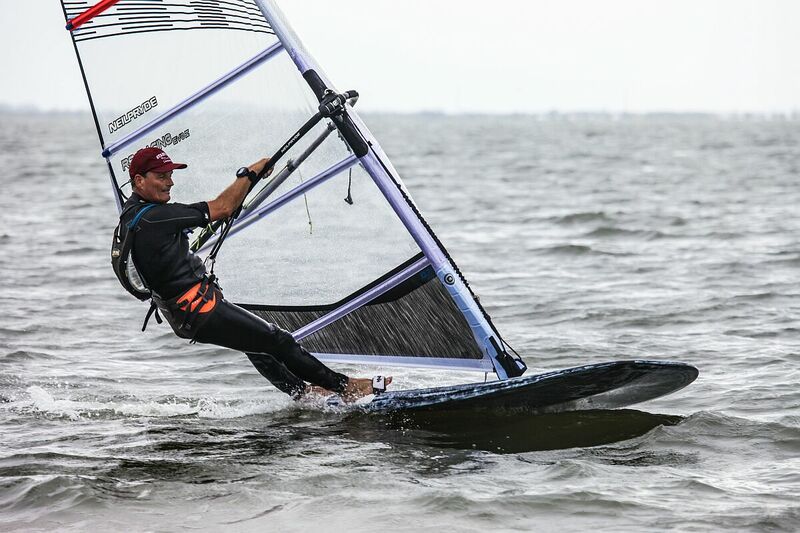 Previous story CISA Clinic at StFYC with KP!